In days gone by, on visits down south, these guys were a staple – if only for the Nooky Port, which if given as a gift would cause one’s friends to titter and wink and blush. At a more serious level the winery was renowned for its Sauvignon Blanc – trophies and gold medals adorn the walls of the cellar door, alongside a gazillion business cards pasted as wallpaper around the tasting room. And of course the Nookery Café was always worthy of a stop for a good/big feed. Well time's hurtled on and port’s a little out of fashion and, for many, the Woody Nook wines also fell out of fashion with the onslaught of new producers, new decades, and new tastes. Opening with the struck match flintiness of a little sulphur, the nose turned more pleasantly to some lean minerality, cut grass, lavender and pungent herbs – lemongrass and sage. On the fruit side of things I picked out some banana passionfruit and rockmelon – greener tropical fruits generally – some lemon zest and lime leaf. Overall I kept coming back to a driving core of dried orange peel and a sense that the fruit was perhaps a little attenuated. On first taste the palate tickled a tad with sherbetty acid before stretching out into paw-paw and passionfruit fruitiness, and that old perennial – tinned pineapple. Some good palate weight but I found a little too much coarseness again, flinty coarseness really, but it rounds out at the end and the length is good. I kept swinging between like and ambivalent. In the end the good-guy in me won out over the picky, pedantic bad-guy and I’ll give this wine a moderate thumbs-up. Value: $22 at cellar door. Fair enough. 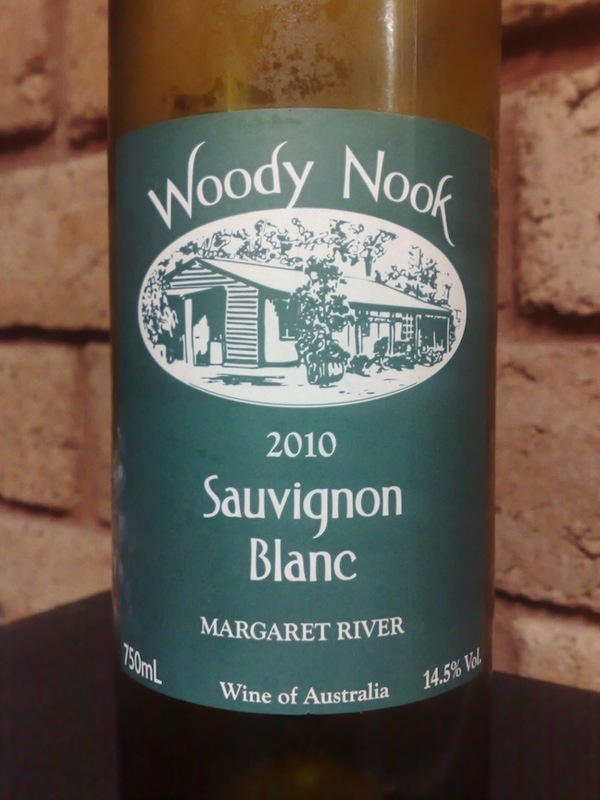 Producer: Woody Nook Wines – www.woodynook.com.au – established in 1982 by the Gallagher family but now owned by Peter and Jane Bailey. Neil Gallagher remains as winemaker. Site: 17 hectares in total, half of which is non-irrigated. No specific soil profile available, however this part of the region generally contains gravelly loams with underlying clay. Vintage: Another superb year in the blessed west. Brilliant for whites with warm, dry conditions throughout summer.